What would this New Year look like if instead of a new fad diet or list of resolutions, we began to neutralize the damaging influences happening on the inside of every one of us? Are there areas that are getting in the way of you becoming the person God created you to be? It’s time to tackle the real life issues of addiction, depression, anger and insecurity. Get ready to experience a year of real lasting change. 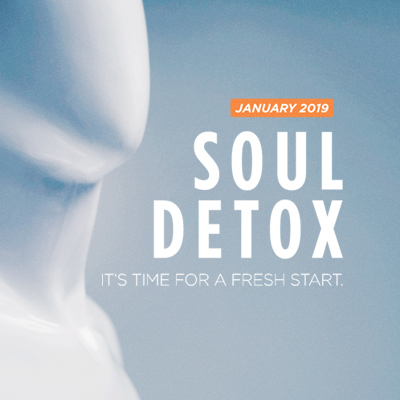 It’s time for a Soul Detox! Soul Detox: Are You OK?